The Vatican has legally recognized a group of priests who perform exorcisms in which they claim to expel the devil from people who are possessed. The International Association of Exorcists was originally founded in 1990 and one of their leaders has been housed in the Vatican for years, but this is the first time that they have been given formal approval by the highest order of the Roman Catholic Church. According to The Vatican's official newspaper L'Osservatore Romano, the Congregation for Clergy announced Tuesday that the Church's canon law now formally recognizes the group. 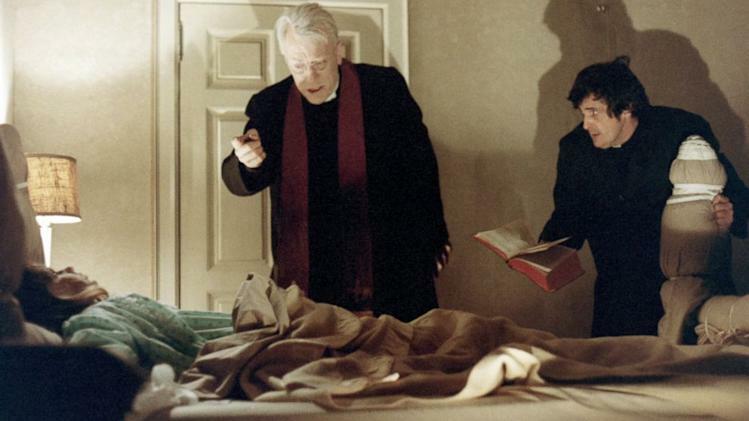 The International Association of Exorcists is made up of 250 priests who are spread over 30 countries. One of their most active members is the Rev. Gabriele Amorth, who was one of the six founding members and has spoken extensively about his belief that exorcisms are the most effective way to fight the devil. "The devil is not everywhere, but when he is present it is painful," Amorth said in an 2010 interview. At that point in time, he said that he had treated more than 70,000 cases of demonic possession, and those regularly involved exorcisms where he and six or seven assistants hold down the possessed person as the devil fights back from inside the individual. "The devil is pure spirit, invincible. He is shown with the painful blasphemies coming from the person which he possesses. He can stay hidden. He can speaks different languages. He can transform himself," Amorth says. The priest said he had collected nails, glass and pieces of metal vomited up by people who were possessed by the devil. Amorth keeps in a pouch that he carries with him. "Some have vomited metal the size of a human finger, others have vomited rose petals," the priest said. By 2010, Amorth said he had moved offices 23 times because fellow priests had repeatedly complained about the screams that came from inside his chambers. He believes it is imperative that priests become exorcists. "I believe bishops who don't appoint exorcists are committing a mortal sin," he said at the time. Amorth said even the Vatican is not immune from attacks from the devil. In that interview, Amorth cited attacks on the two prior popes – when Pope John Paul II was shot and wounded in 1981 and when Pope Benedict XVI was pushed during the 2009 Christmas Eve mass by a female spectator – as acts of the devil. "The devil resides in the Vatican," he said. Amorth is not alone in his beliefs and now has a very vocal, and public, supportor: Pope Francis. The pope, who was elected last March, has spoken about the devil in a number of public speeches. The most poignant of those speeches came when he was first appointed. "He who does not pray to the Lord prays to the devil. When we don’t proclaim Jesus Christ, we proclaim the worldliness of the devil, the worldliness of the demon," he said in his first mass as pope.